(advent sunday soul rest) Awake Me. To Your Love. It’s late tonight. Saturday. But, I wanted to write you because today was too beautiful to keep in my heart. For today’s Soul Rest Sunday, I wanted to share some words God whispered to me. I woke up earlier this week Monday, with a heaviness. I felt it in my bones and in my heart. And I didn’t know why. The first week of Advent — the week of hope — shouldn’t be like this, I thought, as I filled the kettle at the kitchen sink, the sun glimmering against the water as it splashed into an empty pot. My heart felt unsure about some decisions I’ve made recently. It’s the kind of quiet decisions that keep your heart and mind occupied because you can’t seem to see your way through one way or the other. But, sometimes, we’re called to choose one way over another — in the light of uncertainty. We must choose to journey forward — by faith — instead of being paralyzed by indecision because we are waiting for fail-proof clarity — in fear. I wanted to write, but I couldn’t seem to lay the words down. I decided the day wouldn’t be one for writing, so I drove to the nearby mountains and resigned myself to a long walk up a steep trail to find some solace. It seemed my heart too distant to be reached. But there, near the top, I saw the sun peek through the trees. but we can be certain of God’s hand in ours. And He’s not letting go. Thank you God this food — words of hope — to sustain and strengthen me this week. How has God sustained you this week with hope? Tomorrow as you read this post, it will be the dawn of a new week of Advent. Love will be our guide this second week of Advent. This morning, in between hope and love, I woke up to a new year. It was my birthday. I woke up with a birthday prayer as the morning light touched my slumber. May it speak to your heart on your journey this week. As this day fades into the last night of first week’s Advent, may God’s whispers of love awake your heart with hope for the new week. 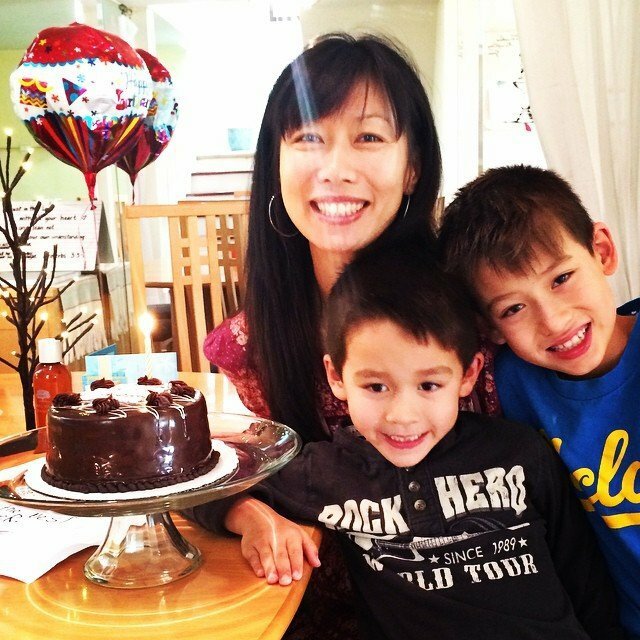 It reflects my birthday wish: I want to live this year in a way that my children will see God through my story and my humanity — and find that the greatest treasure we have in this life is His love. Then maybe they will grow up seeing God in each person’s humanity and know that love will always win. Even tears can become stars in the night sky of the soul, holding the heavens together, as two hearts hold each other. As the earth shakes with grief, love stays. Don’t give up on hope. Hope will keep holding onto us. Love will keep holding onto us. His name is something you and I have always dreamed of, but never really dared to believe enough to fully experience. God is with you. As is. God is with me. As is. Just one moment, closer to His heartbeat. Listen as Jesus whispers His words to you. Right now. Tenderly. Look into his gaze because He wants you to see — how much He wants to just be with you. Confide in this moment He’s longing to bring you into. Surrender what you’ve longed to say. Confide in Jesus, as friend to friend. Let’s quietly make space for each other, offering our words. As prayer. For they are. You are among kindreds. In this quiet space. Pull up a chair. Click to comment. Give Rest. A Christmas Gift For You. 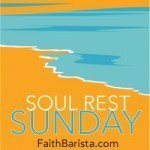 (a new year soul rest sunday) Breathe. My Love For You. Is Forever. Thank you for your wise words and loving heart. The comment you made about choosing the journey by faith instead od waiting on full clarity spoke to me . I in the midst of a decision on something I know God put on my heart but I have been waiting for full clarity on details instead of trusting Him. My analytical mind and lack of confidence are killers on my ideas. Thank you for waking me up to see that. Dear Cathy, I’m wondering how your journey to make a decision has been going? I hope that Christmas has brought your heart peace — and you can hear God’s words touching your heart, to open it to what it is God is prompting you to do or the direction you are to step forward with. Merry Christmas … looking forward to a new year of journeying together. This was just what I needed. Thank you 🙂 have been wrestling a little with what God is paving for me next year…and while it’s been in line with what I’ve desired too, it can get quite scary. I sometimes wonder if I really heard God right, and blogposts like this just speaks deep into my soul…I know it’s a sweet assurance from God. How are you doing, Jacinta with the wrestling of what’s happening next year for you… ? Is God calling to do something new? Hope you have heard some confirmation as to new steps or the direction you’re seeking. Be courageous. Be you. It’s early morning, and I have woken tense. There is so much going on, daughter’s wedding plans, my son and his wife’s baby due in March, my daughter was rear-ended yesterday, and my cousin is suffering with an unknown malady. All of these things swirl around in my mind as I search for the peace of God and get ready for Christmas. As I sit with God, some of the anxieties release and peace comes for a bit…but the mind gravitates back to those things that are in the process of being resolved. God is working on them, but I can’t see the end game and have to employ my faith and do my part. So, as a friend speaks to me when we talk, I try and let go of all the anxieties and let God do his work. Today, I pray for strong faith that He is working on all that I am concerned about and that along the way, if I let it go, there will be joy and peace. Happy Birthday, Bonnie. That cake looks delicious. Your posts and your new book bless my life. The sweetness of love and rest give me inspiration to hang on. Dear Dee, I hope the wedding went well — and all has turned out full of memories precious with you and your daughter. Merry Christmas! Birthday blessings and hugs to you my friend in Christ. You are a blessing to many. I enjoy reading your blog and Faith Shots. Thank you for being you. Wow, what a wonderful reminder this morning! I do not need to be paralyzed by fear, because He will NEVER let go! At times I have felt like I can’t make a decision because I’m afraid it’s not right or the absolute best. I just need to make it and allow the Lord to figure out the rest. Thank you for writing. I have only been following you a few weeks, but it has blessed me in a season of transition for my family and I’m learning how to rest. Happy birthday! Dear Pam, I hope that the breath of heaven has refreshed your soul these past few weeks walking through the Christmas season. thank you for your birthday wishes. so glad you found this place. this is a place for you and me. “It’s the kind of quiet decisions that keep your heart and mind occupied because you can’t seem to see your way through one way or the other. Dear Kristan, I think what you’re doing is hard, beautiful and so courageous, friend. it is worth every heartache and difficult uncertainty. 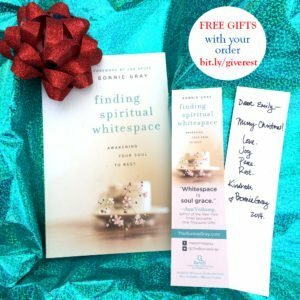 making whitespace in your life – so your heart can be free to dismantle, and heal and repair is so worth it. it might seem hard right now as you’re in it, but all this time and commitment you’re investing in your relationship with your husband and your children is worth it. your children are at a very important age where they are going to be shaped by how you’re walking through this season and it is VERY powerful for them to see mom live this journey organically. share this journey and allow them to see the real you and see you prioritize you – taking care of yourself – as you take care of this marriage – and in doing so, i believe you’ll have the heart space to be present with your children. even as you grieve, you will become real and your children will get to know their mom as a person with a story, faced with uncertainty and still being open to see what God will do. I applaud your decision to quit your job. Give yourself permission to be present in every way. and care for yourself. I look forward to doing the book club together – I think you will find it helpful to prompt yourself to take care of yourself for this emotionally challenging season. Merry Christmas, kindred! Happy Birthday Bonnie. Thank you for your soulful and peaceful words that point to the Comforter. thank you, sharon, for the birthday wishes. I hope you had a Merry Christmas and you feel His hand in yours today. Happy Birthday, Bonnie. Your words have touched me many times, and your new book has been passed to others who need your insight. The Sunday Scripture you sent is just what I was looking for to help a dear friend who is going through a really bad time right now. I know God is with her, but I don’t think she truly believes that He can or wants to help her. I am taking your words to her today. Please pray for her to accept and understand what God can do. Thank you for your beautiful thoughts and words. thank you for the birthday wishes. thank you for sharing my book with fellow kindreds. i was sorry to hear your friend is walking through a difficult time. you being there, to listen, i know is a light to her heart. i hope you had a Merry Christmas and you’re feeling the peace of God warming you heart today, Susan. All day yesterday I sat in uneasy waiting for my 31-year-old son to safely arrive in Texas as he flew a small, single-engine skydive airplane from Atlanta. 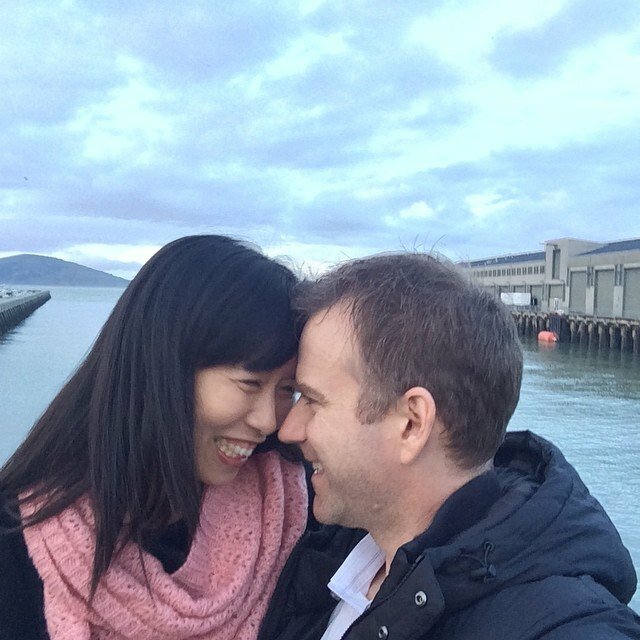 My husband drove him to the airport and was also uneasy about the trip, and he is a pilot as well. He watched the small craft sitting at the end of the runway and prayed for God to keep his hand on it all the way back. He said he felt the manager was pressuring Andrew to get back ASAP because they had already lost several days of revenue due to maintenance. It was doable, but the weather was marginal, and the plane was not equipped with radar, so his four- hour (plus) trip was tedious as he skirted the line of thunderstorms along the way. Even after tracking him online, knowing he had arrived safely, neither my husband nor I had peace. The nagging unease persisted. Early that morning, I had text-messaged my sister to please pray for my son as my mommy heart was anxious about the trip. Last night, our son called to say that on the fourth lift of skydiving yesterday, the next to the last scheduled jump, at 10,000 feet altitude, he heard a loud noise and the engine died! He quickly assessed the situation, calmly told the skydivers to be still and wait for his “GO!” He then proceeded to turn the aircraft toward the airport and position it so the jumpers could get off safely. He then made the decision to fly the dead engine plane with “stick and rudder” back to the ground! He safely landed and rolled the airplane back to the hangar, where he was met with a round of applause. He said he was shaken up a bit, but knew that he had to draw on what he knew. He could have bailed because he also had a parachute, but losing control of and ditching the airplane was not what he wanted to do. Immediately when I heard the news, my heart sang! GOD had heard my anxious pleas and now I could sing His praises! My son is an accomplished pilot, but GOD was at the controls yesterday, just as surely as He is every day! Today I am resting…and trusting. Thank you Jesus for loving me so much. Thank you Lord, who did not spare Your own Son, for sparing mine yesterday. AMEN and AMEN! wow. Diane.. this is an INCREDIBLE testimony. thank you for taking time to share this with us. Praise God your son is safe and He’s called you & your hubby to pray for Him. how powerful you point us to God’s gift of his son! Bonnie, I am so grateful for God’s mercy! I am a bereaved parent, having lost my oldest son at age 10, when my youngest was only eight. I am now a facilitator in our bereavement support group, and have met parents who have lost more than one child. It is a reality that we live with, and I know that I am not exempt; I too, could become one of those parents. I accept it though, because as hard as it is, I am living my life, following after Jesus, being his arms to others who find themselves on this path, too. It is not an easy path, and we find that many do not feel comfortable with us bereaved. I have no doubt that my loss serves a greater purpose… to point others to the hope that I have in Jesus. it’s painful, bitter, yet God’s love goes as deep and as long as that grief seems to come upon us… his love is greater.. like waves upon the sand. so beautifully how you live and experience God by being present with others Diane, walking on the journey. you are brave for living in this way… healing others and being healed a little more with each kindred. Dear Diane, how are you today? I hope that christmas was gentle with you.. as you carry memories of your beautiful son… and your heart is warmed by God’s love with you. Hi Bonnie! Thanks for the note. This was the twenty-third Christmas without Jeffrey, and the years have softened the edges of our grief. We have found “new” ways of doing things in order to keep joy alive, especially at Christmas. Now, it’s dealing with my parents that is the most difficult. It isn’t easy. Bonnie, I too woke up in an other year. Interesting to think of our birthday as the start of a new year. I think I will start some new habits today and not wait until January 1st!!! I love how you share your joys and your struggles. God is using you to touch so many. Today’s post really spoke to me, looking to the Lord for wisdom and guidance in my marriage and my career. This statement is one I am going to hold on to. ” We must choose to journey forward — by faith — instead of being paralyzed by indecision because we are waiting for fail-proof clarity — in fear.” Not sure what this journey is going to look like but I know for sure the Lord is going to be leading me. thank you, Jerrianne. may you feel His presence close to you, opening your heart to the wisdom and guidance that comes by feeling held and loved by Him. Thank you for your calming and comforting words … they are like a balm for an anxious heart. May God continue to bless you and your beautiful family abundantly! thank you, Tracey! may this day hold you close to His heartbeating.. with yours. God bless you with many more. Thanks for being His instrument & blessing us with your inspiring words! You & your family are beautiful! thank you, Donna! you make this week sweeter. What a word of encouragement! Thanks. And, I’ll take cream and sugar with that. yes, please. i have lots of cream and sugar. for you, Bev. Happy birthday, dear Bonnie! I had a difficult Hope week as well, as I have been battling what looked like increasing stresses at work and home, but I kept holding out for Peace, and what little hope I had did not fail me. Peace is now shining through the clouds of desperation. It is true that the LORD has plans to prosper and not to harm, to give us Hope and a future. We can trust in Him Who is faithful and will never let us go. Praying Peace week will be that and more for you and the rest of the kindreds in Christ. thank you, tinuviel! 🙂 friends who are dear to us.. gather near to us.. 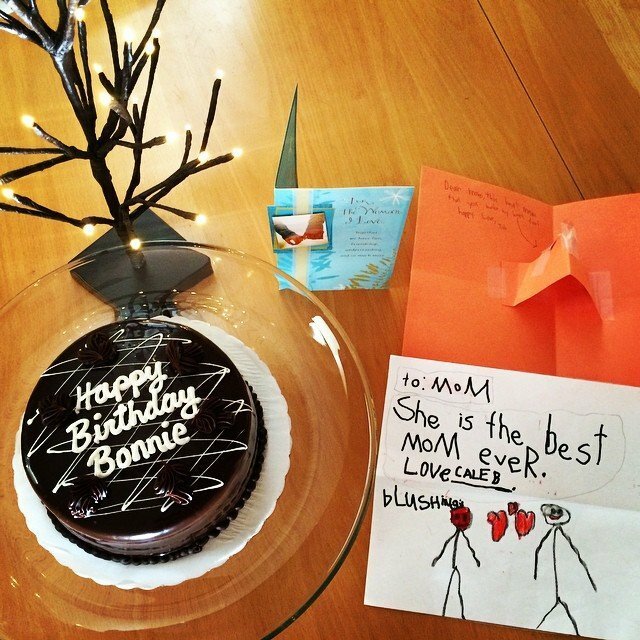 Happy Birthday, Bonnie! And thank you for this encouraging post. This especially gives me so much hope – “We may be uncertain about our next steps, but we can be certain of God’s hand in ours. And He’s not letting go.” It reminds me of what my husband and I sometimes encourage ourselves or each other with: I don’t need to understand; I just need to hold His hand! But what you say takes it even further… When we are weak and uncertain, we might let go of our hold in His hand, but He is never letting go of ours! Sweet hope! Happy birthday, Bonnie, from one December baby to another! (Mine is coming up on the 20th.) Thank you for the gift of your encouragement. I, too, found hope and love in this sentence: “We must choose to journey forward — by faith — instead of being paralyzed by indecision because we are waiting for fail-proof clarity — in fear.” I can step forth in anticipatory hope because God’s loving hand is upon me. As long as I cling to him in faith and obedience, he will not let me fall (Psalm 37:23-24)! thank you, Nancy! I hope you had a wonderful birthday and you felt God’s love, renewed for you this year. Happy birthday Bonnie! I would love to share a piece of that amazing birthday cake with you! Thank you so much for your modeling of beautifully broken! Your story invites me to live tenderly with myself and others! I am so touched today in reading this, Bonnie, and Dianne’s comment as well. I was just reading at Soli Deo Gloria Connections about emptying our hands so that we can hold His. This rings with that as I must release my ‘stuff’ so that I can hear Him tell me whether to turn to the right or to the left. I want His way for mine. this was beautiful when i read it, Linda. thank you for sharing about your emtpying hands journey and how you’re hearing Jesus voice. sou beauty. Merry Christmas and may the new year begin with such beauty from His heart to yours.